Directions « Parkway Orchards. Niagara's pick your own Destination. We are located along the beautiful Niagara Parkway, at the mid point between the southern shore of Lake Ontario and the amazing Niagara Falls. Stop by for a visit to pick up some fresh fruits from our very own farm or some of our fantastic home baked pies. GPS Coordinates: Latitude 43.18941, Longitude -79.05771. 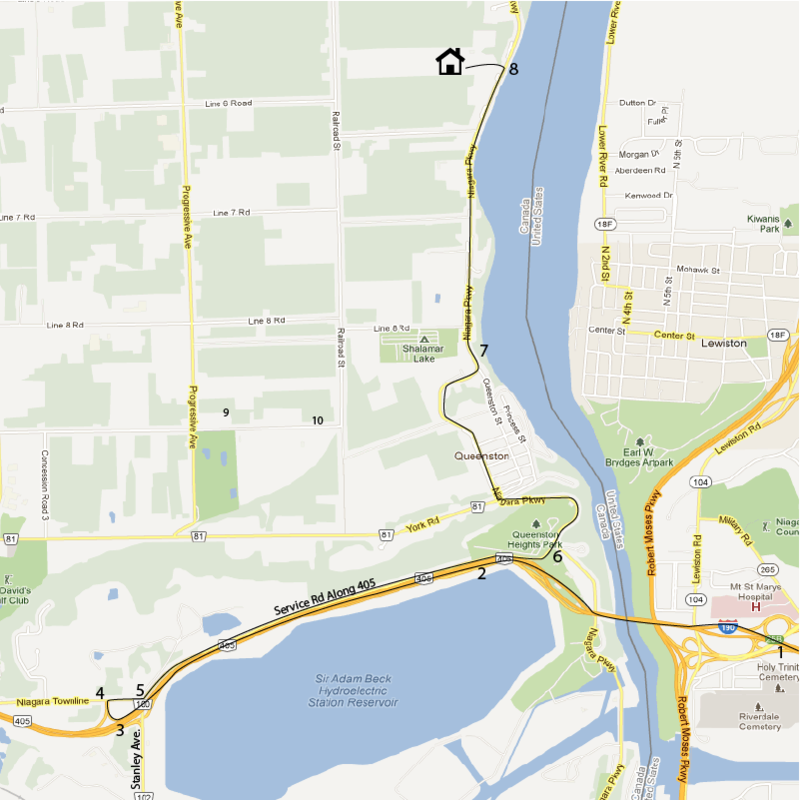 If your are having trouble finding us please look for the intersection of Line 6 and the Niagara Parkway. We are just a few hundred meters north of there. Farmer road sign on your left. 1. Travel along the 190 going north and follow the signs to Bridge to Canada. 3. take the Stanley Ave. exit. 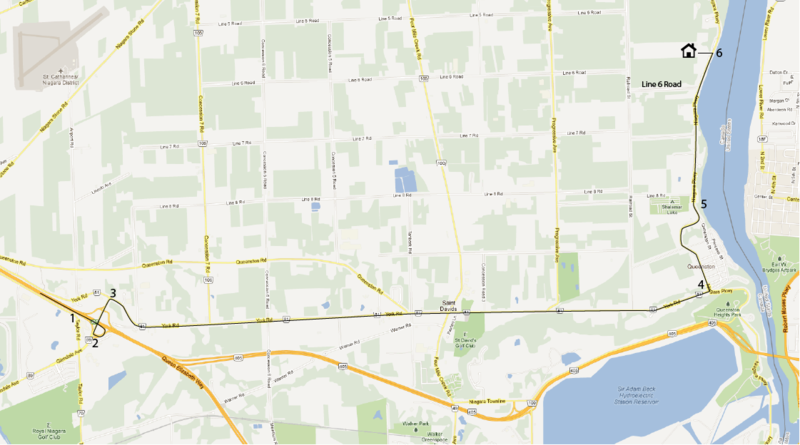 4. from the exit, make a right to go towards Stanley Ave/Niagara on the lake. 5. at the 3-way stop, go straight (curves to the left) onto the Service rd along the 405. 6. from the traffic circle/roundabout continue straight from your original direction to get on the Niagara Parkway towards Niagara-on-the-Lake. 7. continue along the windy and hilly road until it straightens out. 8. about 300 meter after Line 6 road your will see our famous Farmer road sign on your left.